Using data to guide instruction is the key to both student and teacher success. Purposeful instruction with specific interventions allows for students to feel successful in the classroom. 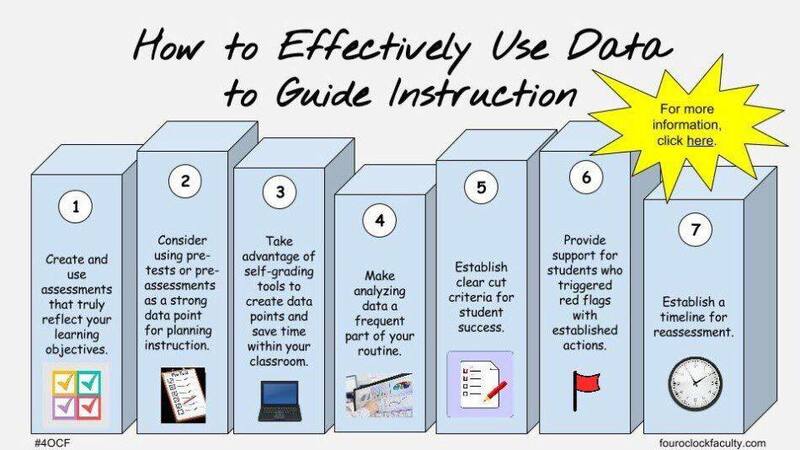 We love this visual from Four O Clock Faculty talking about using data to guide your instruction. So important for us to remember these tips. What is your most effective and favorite way to use data in your classroom? Share your tips with us!